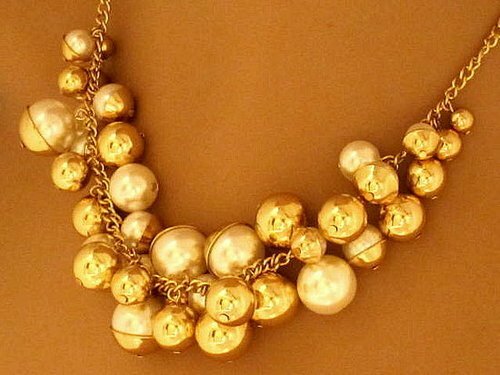 Vintage or handmade costume jewelry pieces are not worthless, but when you want precious metals and stones, you don’t want to be duped into thinking you have the real thing. 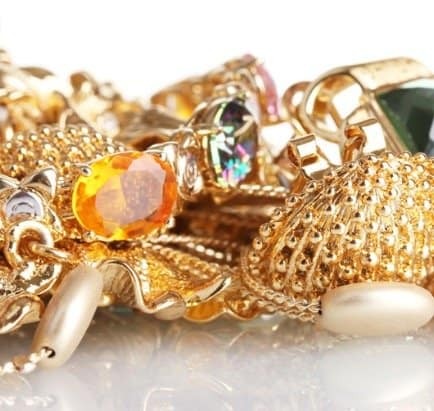 You definitely don’t want to pay real jewelry prices for fakes, either. On the other hand, you might have received a box full of jewelry from an aunt or grandmother who passed and want to know which pieces are real. These tips will help you spot costume or fake jewelry from the real thing. First, you’ll want to see if there are any markings on the jewelry. This is important because many metals from silver-plated to sterling silver or palladium look the same to an untrained eye. Most of the time, jewelry will have markings on them that indicate the type of metal and purity. 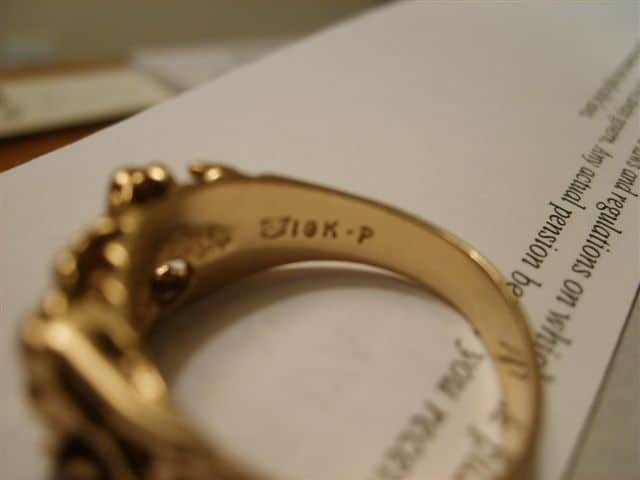 For example, a 10k gold ring will have the marking for 10k directly on the ring. On earrings, it’ll be visible on the back. In necklaces and bracelets, it’ll be near the clasp on a tag or directly on the clasp or link. 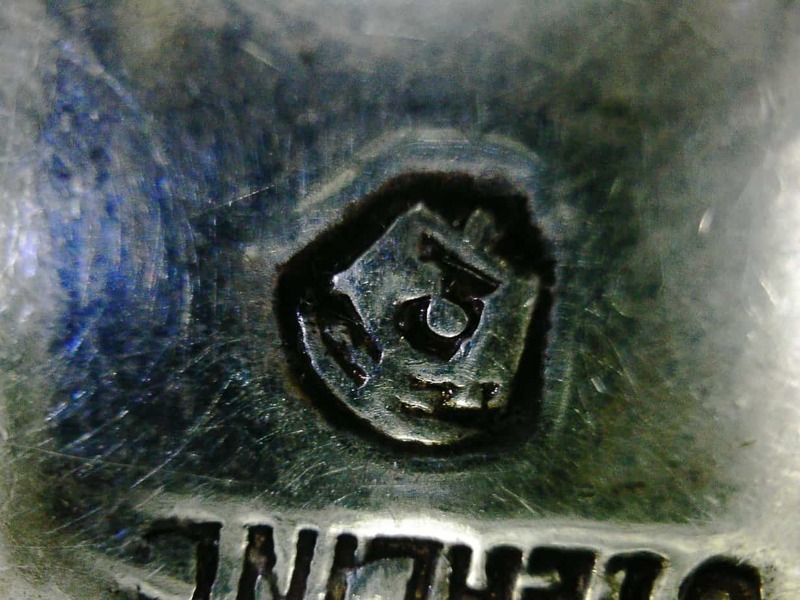 The word “Sterling” will be stamped on the metal. It could have “.925” as a stamp. Some sterling silver has “925”, which means that the silver is 92.5 percent silver. Number followed by the letter “k” or the word “karat” will be stamped on the metal. Gold that is 10k might have “.417” stamped on it as well. 14 karat gold could have “.585” on it. 18 karat gold might have “.750” stamped on the gold itself. Check out these real gold rings! Platinum will be marked with the word “plat”, “platinum” as a stamp. Sterling silver with gold plating will be marked Vermeil. Manufacturers like Tiffany will have their stamp on each item, too. This isn’t always proof, though, since manufacturers are only required to provide information about the metal content, but they may do that with a tag or an invoice after purchase. If you’ve received the jewelry used, you might have to test the piece to learn whether it’s real. In locations where the jewelry might have rubbed against the skin, check for discoloration. If a piece is gold-plated, the gold can wear and show the true metal underneath. Also, if you’re wearing a ring that turns your finger green or causes a weird reaction, it’s likely that the metal isn’t real gold or silver. Slip the ring, bracelet, or necklace under a bright light. A plated piece of jewelry will have a visible tint in areas where it’s been worn. Fake metals that are meant to mimic silver or white gold will have a plating of rhodium over them. This is what makes them shiny and white, but when viewed under a light, the worn areas will look yellow. When testing gold to see if it’s real, you can use a strong magnet to see if your gold is as pure as advertised. When an item is gold-plated, there’s metal underneath, which will cause the magnet to stick. Gold will not stick to the magnet. However, this isn’t always accurate because the jewelry could be made of a metal that doesn’t stick to magnets. All jewelry that sticks to the magnet is not gold. For a ceramic test, you’ll need to have an unglazed ceramic plate. Drag a part of the jewelry across the ceramic. If it leaves a black mark across the surface, it’s not made of gold. A real gold piece of jewelry will show a gold streak. Here is a video showing the magnet test for seeing if gold is real. In a small stainless steel container, place the jewelry that you want to test. Place a drop of nitric acid on the gold and watch for the reaction. If the item shows green, it’s is not true gold. It’s a gold plate. A gold reaction means that your item is brass. If there’s a milky reaction, it’s gold-plated over sterling silver. No reaction indicated a real piece of gold jewelry. If you can’t get your hands on nitric acid, you can try a bleach test. It won’t cause a reaction in real gold, but fake gold will see a loss of color. Here is yet another method you can use that involves using a flame. The gems that come in that costume or fake piece of jewelry won’t be real gemstones. They might be crystals, plastic, rhinestones or simulated gems. Once you’ve tested the metal itself, that should tell you whether the stone is possibly real or not. You definitely won’t see real stones in fake jewelry. After the above tests, if you’re still not sure, you should take it to a jeweler to be tested. He or she will have professional tests that will determine whether your jewelry is real as well as the purity of the metal itself.